WoW 21. The mist on Bronte Moor, Scarlet & Untitled. Aviva Orr - The mist on Bronte Moor. Expected publication: January 8th 2013 by WiDo Publishing. When fifteen-year-old Heather Jane Bell is diagnosed with alopecia and her hair starts falling out in clumps, she wants nothing more than to escape her home in London and disappear off the face of the earth. Heather gets her wish when her concerned parents send her to stay with her great-aunt in West Yorkshire. But shortly after she arrives, she becomes lost on the moors and is swept through the mist back to the year 1833. There she encounters fifteen-year-old Emily Brontë and is given refuge in the Brontë Parsonage. Unaware of her host family’s genius and future fame, Heather struggles to cope with alopecia amongst strangers in a world completely foreign to her. While Heather finds comfort and strength in her growing friendship with Emily and in the embrace of the close-knit Brontë family, her emotions are stretched to the limit when she falls for Emily’s brilliant but troubled brother, Branwell. Will Heather return to the comforts and conveniences of the twenty-first century? Or will she choose love and remain in the harsh world of nineteenth-century Haworth? This sounds fascinating! And the cover is pretty. Expected publication: February 5th 2013 by Feiwel and Friends. I loved Cinder and I can't wait to find out what is going to happen. And I want to know how Cinder and Scarlet are going to meet! Veronica Roth - Untitled. Divergent 3. NO TITLE YET ANNOUNCED. The third book in Veronica Roth's #1 New York Times Bestselling DIVERGENT series is coming in Fall 2013. Divergent was awesome and Insurgent was pretty good, so come on. I want to know how this ends. And I can't wait for the title and cover. I'm super excited for Scarlet as well! Ooh nice! I need to read Cinder myself, but Scarlet is what prompted me to do so! Still need to read Insurgent too, but I'll be waiting for book 3 too! Scarlet was my WoW last week :) I'm super excited for it! 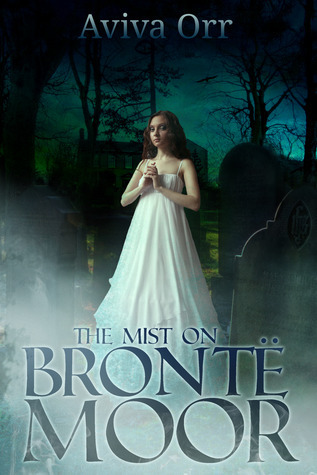 The Mist on Bronte Moor sure does sound interesting and I adore the cover <3 Thank you for sharing! Great picks! I have yet to read Cinder, but I really want to and then I will probably (hopefully) be looking forward to Scarlet as well. Looove the cover for "Scarlet." But I'm also intrigued by "The Mist on Bronte Moor." I had a friend in high school with alopecia and I know how hard it can be. I have something to admit! I've been very bad reader! I haven't read Cinder yet! Huh! I'll change that! Bronte Moor doesn't really sound like one I'd be interested in but Scarlet, whole different story! I still haven't read Cinder yet but I've been meaning to. Great pick! I have not heard of The Mist On Bronte Moor, but it sounds interesting. I am fascinated by the Bronte family, and ooh a love interest for Branwell? I'll have to check this book out. I want to read Scarlet, but first I have to read Cinder! As for The Mist On Bronte Moor, I haven't heard of it but it looks really good! Great picks! I'm psyched for Scarlet and Divergent #3 too (what do you think the titles going to be??) and I'm loving the sound of The Mist on Bronte Moor--definitely going on my TBR list! Both of these books sound so good! Thanks for sharing and stopping by! Great picks! !The Mist on Bronte Moor sounds really good!I haven't read Cinder yet, but I think i will do it soon!!! Hey thanks for stopping by my blog :). Oh I'm going to buy Cinder with my birthday money in a few days. I heard awesome things about Cinder and i'm sure I'll want to read Scarlet next ^^. Great picks! I can't wait to read Scarlet because I loved Cinder. Also I can't wait to find out what the third book in the Divergent series will be called. I love that series! I have Cinder on my TBR-SOON list. Scarlet looks fantastic and I hope it sounds as good as the cover makes it seem (can't read the synopsis since it might have Cinder spoilers). And of course, Divergent #3 is high on the list, too. Do we really have to wait til next spring!? Thanks for dropping by my WoW! Scarlet sounds good. I haven't read Cinder yet, but have been meaning to. Great picks. Thanks for stopping by my WoW. I still need to read Cinder! I can't believe I've gone this long without reading it. The Mist on Bronte Moor sounds incredible too, I'm definitely adding it to my tbr pile! Ooh, good ones. I really enjoyed Cinder, and love the concept of the series as a whole. I haven't read Cinder yet. ): I want to do so really badly, though! I also love the sound of your first pick. I haven't heard of it before, but Heather sounds so lovely, not to forget the promosing story line! 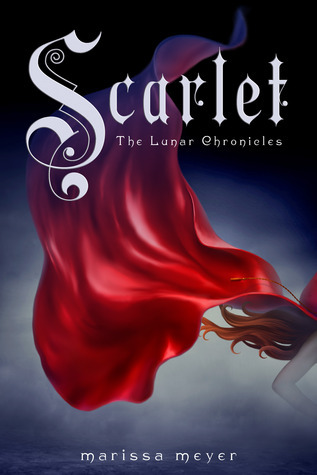 I still need to read Cinder, but Scarlet sounds awesome! The Mist on Bronte Moor looks so creepy! I loved Scarlet..I hope you enjoyed it as much as I did. SQUEEE! I'm soo excited for this! I absolutely loved Cinder as well and I can't wait to see what Marissa Meyer does with her Little Red Riding Hood retelling x) Fantastic pick and thanks for stopping by! Scarlet is definitely on my must have list for next year and I haven't heard of your other pick but looks awesome! Thanks for sharing! Yay Scarlet! I can't wait for this one! So excited. Fantastic pick. Yes to both! I can't wait for them either! Jeesh, how good do both of those look. Definitely gonna be checkin' out the Bronte book! Gorgeous picks! I have Cinder on my to-read list so I will *hopefully* be adding this pretty to my WoW soon! Thank you for stopping by Between the Bind! I'm DYING to read Scarlet! Really awesome pick! I've never heard of The Mist on Bronte Moor, but the premise is so interesting! I've never seen alopecia depicted in any book, much less YA, and that's fascinating to see how it will be portrayed. And YES to Scarlet, great pick! I have an ARC of it from ALA but have yet to read it - I'm kind of scared because I don't want to have to wait TWO years for Cress haha. All 3 great picks :) although I still need to read Insurgent & Cinder! The cover is really great of the first book but it sounds really creepy!!! Btw, new follower! Lol, I always follow other dutchies! Check out our blog and follow us too! All great choices!! I am so excited to read Scarlet---and I could stare at that cover all day!! I am *dying* to read Scarlet! Argh, I haven't read Cinder yet. I haven't heard of Aviva Orr but I've heard great things about Cinder. I hope you enjoy your picks when you get a chance to read them. Thanks for stopping by my WOW. I can't wait to get my hands on Scarlet, I've never heard of The Mist on Bronte Moor but it sounds interesting. I hadn't heard of "The Mist on Bronte Moor". It sounds like it will be interesting. I have yet to read Cinder, but I've read that it's good. Thanks for sharing and stopping by my WoW. Cinder was absolutely amazing. I can't wait to read Scarlet.